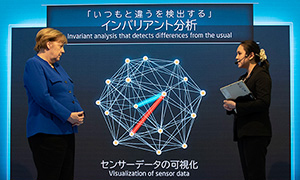 On February 5, NEC Chairman Dr. Nobuhiro Endo was honored, along with several other NEC executives and employees, to welcome Dr. Merkel as she was introduced the latest advanced technologies, including AI and biometric identification solutions. The Chancellor exchanged dialogue with members of NEC about the balance of technological innovation with legal regulations, privacy protection, human rights and ethics as digitization and the use of data continue making advancements among society and people. Click here to learn more about Dr. Merkel’s visit. With threats on the rise and criminals growing more sophisticated by the day, citizens trust law enforcement agencies to stay one-step ahead. For law enforcement, processing arrests involves the entry of bio-demographic information, taking fingerprints and possibly mug shots of the suspect. The data is then sent to state and federal authorities to determine if there are existing arrest records, verify that the suspect has not provided false information and to determine if there are any outstanding warrants. Historically, fingerprints were taken with ink and then scanned, and often returned due to lack of detail or inaccurate scans. In some cases, AFIS (Automated Fingerprint Identification System) or other database hits could take days to return a search result to the arresting agency. The key to keeping communities safe is accuracy, reliability and speed with solutions that help you protect the public when it counts. With modern livescan technology, law enforcement now has the option of using a device that electronically captures images, fingerprints, palm prints, mugshots, scars, marks and tattoos, as well as irises, signatures, voice and even possibly DNA. AFIS or MBIS (Multi-modal Biometric Identification Systems) and even the livescan station itself have the ability to provide an agency with nearly instantaneous results and feedback on a suspect. This technology allows state and local agencies faster access to precise, accurate matches to help solve more crimes, detain repeat offenders and keep their communities safer to live, work and play. At NEC, we’re proud to offer award-winning biometrics solutions, such as our SmartScan™, to help take state and local law enforcement to the next level. NEC’s SmartScan offers a modern, user-friendly interface with the Microsoft Windows 10 operating system. Touch screens, with swipe and pinch-and-zoom functionality, are as familiar to operators as using their mobile devices. This modern, intuitive interface guides the operator through the record creation process minimizing errors and increasing efficiency. The user is guided through the record creation workflow on an innovative, ergonomically designed and height-adjustable “UnCabinet.” The UnCabinet includes large 22” displays, prominent foot pedals to make capturing images hands-free, and a flexible configuration based on the needs and price point of a department, agency or organization. With so much personal data captured, our livescan system must be secure from malware, hacking and unauthorized access. Multifactor authentication and virtualization-based security is available to protect credentials, roles and system privileges. Our SmartScan includes centralized management for local and remote control plus a convenient chat function for system administrators to manage the system and remotely assist operators during the record creation process. NEC Customer Service Centers also provide 24/7 support and remote diagnostics to help technical support resolve issues immediately. The livescan system is only as helpful as the biometric scans it can capture. 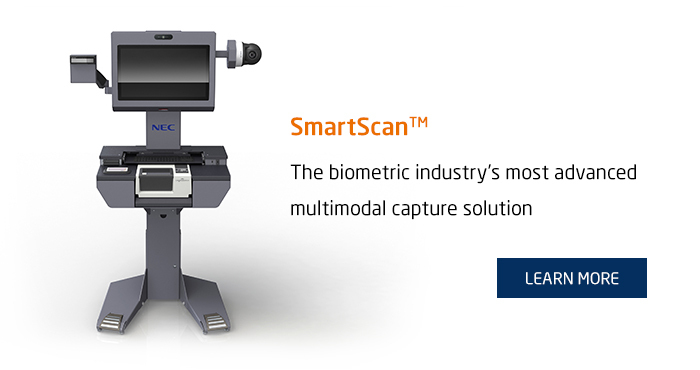 NEC’s SmartScan produces superior quality images from a variety of biometric captures using top-tiered hardware and validate using both NEC superior and standard NIST image quality checks. NEC’s SmartScan solution is truly livescan made smart! Since NEC SmartScan introduction in 2016, many major features have been incorporated, such as advanced multi-modal biometrics capture, as well as the documentation of new civil use cases. Our Advanced Recognition Systems (ARS) team recently accepted an order of 100+ SmartScan Stations for implementation by a federal agency. While NEC ARS solutions are available around the world, in the U.S. our livescan system is currently certified in Alabama, California, Georgia, Nevada and Texas. 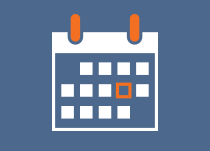 More state certifications are coming – check with your NEC ARS Account Manager for the latest list and availability. An emerging NEC SmartScan “UnKiosk” and alternative software for driver’s license applications and renewals is also available, as well as Identity Management Self-Enrollment. 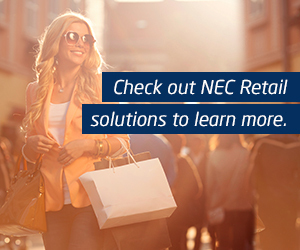 NEC’s SmartScan offers an almost immediate return on investment. Your livescan operators will have streamlined processes so they can efficiently scan more applicants and suspects in far less time, and with fewer rejected scans. NEC’s ARS solutions are NIST validated, adaptable, secure, and continually improving in order to help increase productivity and exceed the goals and objectives of law enforcement and other civic agencies. In addition, if there are budget concerns, NEC has the ability to assist; NEC Financial Services offers creative financing and leasing options to support system upgrades. To learn more about the NEC SmartScan, you can explore here, and find out more about NEC’s biometric solutions by visiting necam.com/ARS. Today, NEC Corporation President and CEO Takashi Niino published the following essay regarding recent calls for government regulation and greater industry collaboration on facial recognition technology. As a world-leading provider of facial recognition and other biometric, as well as information and communications technologies, NEC Corporation welcomes greater industry collaboration and effective discussion for the future of facial recognition technology and business. As a point of background, NEC produces face, iris, fingerprint, palm print, finger vein, voice and ear acoustic recognition technologies, and has over 700 biometric recognition installations in over 70 countries around the world. In recent weeks, we’ve seen renewed calls for government regulation and discussions about how we as an industry can build a foundation of responsibility to protect people against discrimination, invasions of privacy and violations of human rights. NEC Corporation welcomes this debate as we believe it will lead to solutions that can make our world a better place. Furthermore, we are eager to move the discussions forward. As more companies come forward to add their voices to this dialogue, I believe we will start to see new and different roles that these technologies can play in protecting and improving our global communities. In the United States, for example, the Department of Homeland Security is today using facial recognition technology at more than a dozen airports to positively identify travelers entering and exiting the country. Three days after the technology was introduced at Dulles International Airport, an imposter was stopped using a fake document. 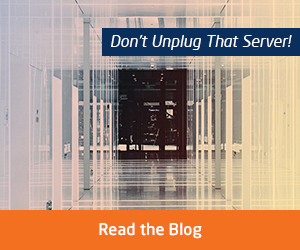 As recently as late November, the lead architect of this system from U.S. Customs and Border Protection (CBP) reported that it had identified at least 36 imposters so far. Additionally, the first curb-to-gate biometric experience in the U.S. just launched at a major international airport terminal to a positive customer response, potentially changing the future of travel. NEC, therefore, supports various governments’ considerations for reasonable policy, setting privacy standards for personal information and preventing unlawful discrimination related to this technology. Businesses, consumers, and the government should work together to help balance the need for privacy with the benefits of protecting our society, securing our borders and providing consumer convenience without the fear of negative consequences. Accuracy is vitally important to the effectiveness of biometric technologies. At NEC, we are committed to the National Institute of Standards and Technology (NIST) and their evaluations. NEC has a nearly decade-long leadership position and pedigree where NIST evaluations of our facial recognition technologies are concerned, and you can read more about it on our global Web site here. In addition, NEC has established a “Digital Trust Business Strategy Division” to create and promote a strategy based on “Human Rights by Design,” considering the impact of the adoption of artificial intelligence (AI) on society and the utilization of biometric information on human rights and privacy. NEC seeks an adoption path for these technologies that is in line with the worldwide principals of freedom, justice, rights to privacy, transparency and continuous improvement. 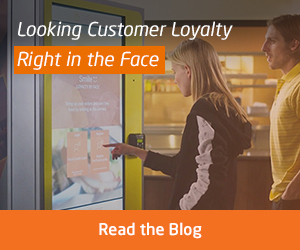 At NEC, we strongly believe that facial recognition can add significant value to our lives. NEC Corporation is a leader in the integration of IT and network technologies that benefit businesses and people around the world. The NEC Group globally provides “Solutions for Society” that promote the safety, security efficiency and fairness of society. Under the company’s corporate message of “Orchestrating a brighter world,” NEC aims to help solve a wide range of challenging issues and to create new social value for the changing world of tomorrow. For more information, visit NEC at http://www.nec.com. Hey Buddy!, I found this information for you: "Mobility & UC – Get Everything You Want on the Device of Your Choice". Here is the website link: http://nectoday.com/mobility-uc-get-everything-you-want-on-the-device-of-your-choice/. Thank you.